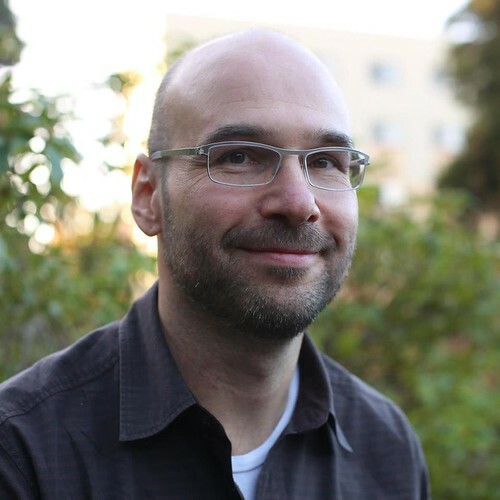 Sentient Developments: Guest Blogger: Russell Blackford: Freedom of religion (belief, conscience, and worship). Part 2. Guest Blogger: Russell Blackford: Freedom of religion (belief, conscience, and worship). Part 2. In the circles where I "move" on the internet, there is much celebration of the fact that this year is Darwin's 200th birthday and the 150th anniversary of the publication of On the Origin of Species. 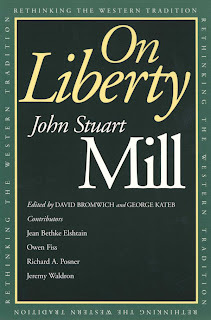 I hope there are other circles where they're celebrating a book that's almost as important and was published in the same year: On Liberty, by John Stuart Mill. Mill still has a lot to teach us. (2) The state will not attempt to suppress any religion, including its doctrines, practices, etc. Where left off, I made the point that there are limits to what is provided by the two limbs of freedom of religion. There is no requirement that the adherents of one religion should cease to regard the doctrines of other religions as pernicious (or worse). Mardukites may have a doctrine that Zeusism is a lie and deception spread in the service of an evil spirit — and they are perfectly free to think this and express it, so long as they don't resort to violence or otherwise break the general law. Nothing about freedom of religion suggests that religious sects or their adherents are "nice", or that they must become so. In relation to limb (2), as above, I must also add this. Everyone must obey the general law. Even religious organisations are bound by laws of general effect that are enacted for legitimate secular reasons, rather than for the purpose, or with a primary effect, of suppressing a religion. If such "religion-blind" laws are otherwise justified (e.g. because they are necessary for some larger economic purpose or to prevent people harming each other), they are not illegitimate merely because they have an incidental effect of hindering the practice of a religion's ceremonies or morality. But if peradventure such were the state of things, that the Interest of the Commonwealth required all slaughter of Beasts should be forborn for some while, in order to the increasing the stock of Cattel, that had been destroyed by some extraordinary Murrain; Who sees not that the Magistrate, in such a case, may forbid all his Subjects to kill any Calves for any use whatsoever? Only 'tis to be observed, that in this case the Law is not made about a Religious, but a Political matter: nor is the Sacrifice, but the Slaughter of Calves thereby prohibited. Well said, Mr Locke! But here it's worth noting that Locke may not have been completely consistent. He evidently saw no difficulty in laws that banned certain (allegedly) immoral conduct such as sexual promiscuity, though he did not support banning whatever might be described by religion as a sin. He didn't inquire as to whether this was entirely consistent, or whether the imputation of immorality might itself be based on contestable religious doctrines. Perhaps, however, he thought that rules relating to sexual morality were necessary for social survival (which may have been more plausible in his time than today). If we look at it that way, his position wasn't very far from Mill's. In any event, the range of laws that are likely to have such unwanted incidental effects on the practice of religion will be relatively small, provided the state takes the Millian harm principle seriously. So much public policy goes wrong because Mill's principle is ignored, then people look for ways of putting the blame elsewhere. Without invoking anything as strong as the harm principle, Locke made a similar point. It won't, he said, be often that a law with a legitimate, religion-blind secular purpose will actually harm anyone's religious practices: "if Government be faithfully administered, and the Counsel of the Magistrate be indeed directed to the publick Good, this will seldom happen." Unfortunately, the analysis I've just given is controversial. It is often not accepted by religious organisations, which misinterpret the idea of freedom of religion to include a special right for religion to be free of legitimate, religion-blind general laws that apply to everyone else. This can be observed in the furore that followed a leading American case, Employment Div., Ore. Dept. of Human Res. v. Smith (494 U.S. 872 (1990)), in which the Supreme Court adopted the same view as Locke, in holding that it was not lawful for the banned drug peyote to be used in Native American religious ceremonies. I submit that the case was correctly decided in principle. Much outrage followed this case, and it is fashionable to criticise it. And indeed, I don't support every comment that was made by Justice Scalia. But, once again, this is a case that I want everyone to be familiar with because the issues are currently so important. How should religion, society, and the law relate to each other? What was seldom noticed in the row that followed Smith was that the law was a bad one, not because it violated the concept of religious freedom but because it violated the harm principle. If the law concerned had banned a harmful practice (harmful in Mill's sense, which does not count self-induced harms), such as murder, it would be freaking obvious that no religious organisation had grounds for complaint (freedom of religion would not give a neo-Aztec cult permission to engage in the practice of human sacrifice). Thus, the state may forbid such activities as human sacrifice and honour killings by enforcing religion-blind laws that forbid murder. The law against human sacrifice may have the incidental effect of impairing the exercise of, say, a neo-Aztec cult. But no one can complain: if the Act has a good, secular, religion-blind justification (applying, say, the Millian harm principle), then the state can require that religious devotees conform with it, along with everyone else. If, in addition to enforcing the general law against murder, the state wishes to suppress the cult itself, or certain doctrines or practices that can't be controlled by religion-blind laws of general application, it will need to provide some compelling justification. But that's never ruled out. Even the most important freedoms, such as freedom of speech and freedom of religion, are not absolute. We should think very long and hard, indeed, before we introduce laws that abridge these freedoms, but in the end it may sometimes be necessary for an even more fundamental purpose such as to prevent substantial secular harms that can't be prevented in other practical way. There's still a bit more to say, so I'm going to change plans and put some of it off for a Part 3. See you soon.